Why? Because it's not white, it's pink! Tubular shaped flowers zipper up the flower stalk and keep a neat upright habit. Sport of Miss Manners so it will not take over the yard. 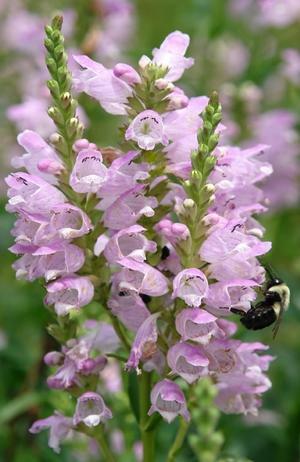 Bees love physostegia!